All the info you need to accurately portray - or heckle! - a Civil War Copperhead! A great historical overview of how Copperheads were viewed, both positive and negative, in the 1860s press. 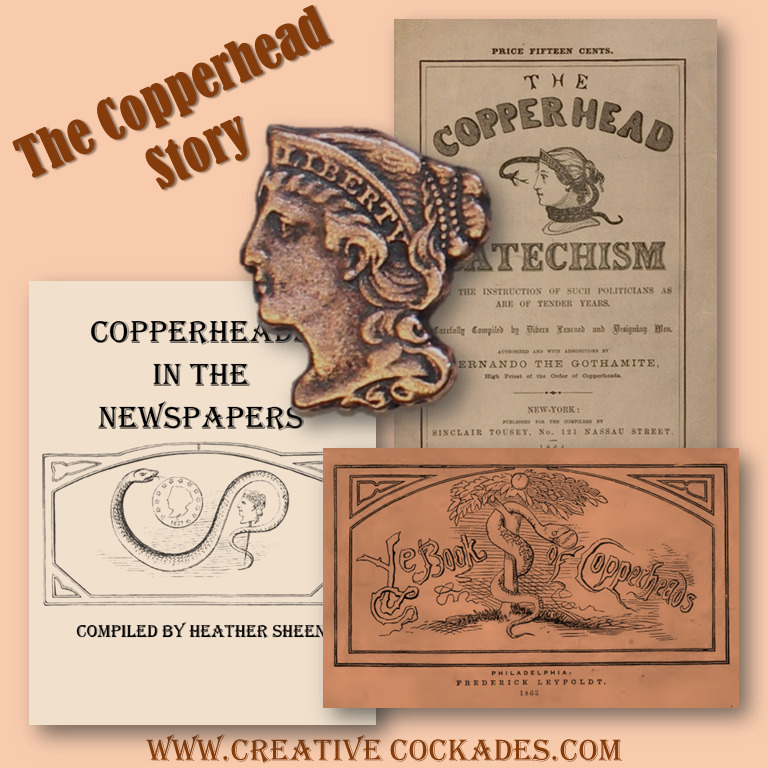 The Copperhead Catechism, 1864 - A sarcastic spoof of a theological catechism, lampooning copperhead "doctrine"
NEED A BADGE TOO? You can buy one by clicking here.